Planiform would like to congratulate City Laundering for deciding to improve their uniform sorting efficiency and overall throughput by investing in our latest generation of A2B RFID garment sorter. This project involves an automatic garment on hanger (GOH) Presort and Sorter that will be installed in Oelwein, Iowa. This new 28-drop cascading sorter will allow them to noticeably increase their hourly throughput while increasing the ergonomics, simplicity and efficiency of their employee’s labor. Planiform is proud to be a part of City Laundering’s next step to sort up to 25,000 garments on hanger a day with our extremely reliable and almost maintenance-free GOH sorting system. Stay tuned for final installation pictures to come. 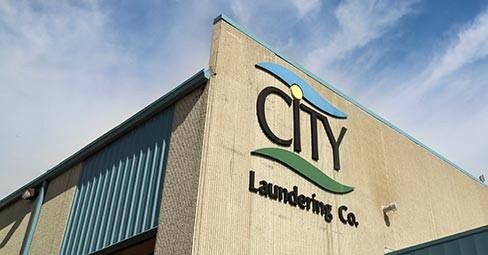 Planiform would like to give a special thanks to City Laundering for allowing use their name in our monthly news. Come visit us at the Clean Show 2019 in New Orleans at booth 1131 to learn about our exclusive offers on Automatic Garment Sorters.